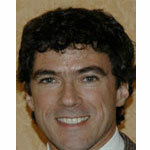 Blase Bova began working at St. Vincent de Paul in 1997 in program management as the Director of Special Works Ministries, serving homeless people and families facing homelessness and was the agency’s director of development at the time of his fellowship. 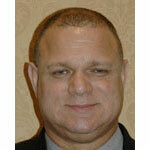 Mr. Bova completed Indiana University’s fundraising certification program. During his sabbatical, he met biweekly with a personal fundraising mentor and attended the executive training program at Stanford University’s Center for Social Innovation. To acquire more skills, Mr. Bova participated in the University of Iowa’s Summer Writing Festival, Stanford’s Digital Media Academy, and an Inward Journey/Outward Bound program. “I was able to spend about eight weeks in intensive top-tier training, as well as take advantage of individual professional mentoring and meditation classes. The training courses, and the Fellowship in general, were designed to help me build confidence and discipline, two areas I felt were lacking as I moved into new roles at St. Vincent de Paul. 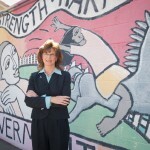 Lisa Glow, a graduate of the University of Arizona College of Law, had a distinguished career in state government and in private practice before taking the job of running a nonprofit. At the time of her fellowship she was CEO of Southwest Autism Research & Resource Center. Ms. Glow pursued nonprofit leadership training opportunities during her sabbatical. She studied Strategic Perspectives in Nonprofit Management at Harvard Business School and The Shambhala Institute for Authentic Leadership in Halifax, Nova Scotia. She made site visits to innovative entrepreneurial programs such as Dancing Deer Bakery in Boston, which donates 35 percent of its proceeds to education; Lakeview Disability Training Center in Pensacola, Florida; and several programs in New York City. “The overall fellowship experience was one of the greatest growth opportunities I have ever been given in my career, both personally and professionally. The highlights were the nonprofit strategy class at Harvard, the leadership course in Halifax and the site visits to entrepreneurial nonprofits. Theresa Leon was hired in 2001 as COO of Friendly House, an 85-year-old Latino social service agency. 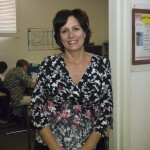 Ms. Leon holds a Master of Social Work degree from Arizona State University. She joined the Piper Trust in October of 2011 as a program officer. Ms. Leon attended the Leadership Development Program at the Center for Creative Leadership and completed coursework for the Nonprofit Leadership and Management Certificate Program at Arizona State University. In addition, she worked with a personal coach to advance her work for the organization. Connie Phillips began her career at Sojourner Center in 1994 and served as its executive director during her sabbatical. When she first joined Sojourner there were 28 beds for women and children escaping domestic violence. In 2007, there were hundreds of beds at Sojourner. Ms. Phillips would say that the state of Arizona responded, donors appeared, and volunteers have come to help. 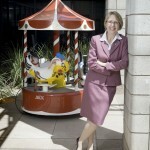 In fact, she led Sojourner through a successful two year capital campaign that raised $11.8 million. “I began my sabbatical in earnest in May 2008 with a spiritual retreat at Living Waters Retreat Center in Cornville, Arizona. I became aware once more that I am not alone in this work. “I then left for the class Performance Measurement for Effective Management of Nonprofit Organizations at the John F. Kennedy School of Government at Harvard University. There were two main strategies for measuring effectiveness that I was able to bring back to the Center and although we had been using both models for a while, I was not aware of their depth and how we could more richly use them. – Kurt Sheppard, Valle del Sol, Inc.
Kurt Sheppard came to Valle del Sol after a 20-year career in the United States Air Force and was the organization’s chief programs officer at the time of his fellowship. Prior to that time he led many innovative and progressive initiatives at the behavioral health and leadership development agency during a period of tremendous change. Mr. Sheppard attended Harvard Business School’s Strategic Perspectives in Nonprofit Management Seminar and the Stanford Graduate School of Business Executive Program for Nonprofit Leaders. He participated in the National Center on Nonprofit Enterprise Conference and then developed a business plan for Valle del Sol’s future social enterprise initiatives. As a result of his fellowship, Mr. Sheppard saw an avenue to lead the organization toward greater social enterprise capacity and new sources of unrestricted revenue.